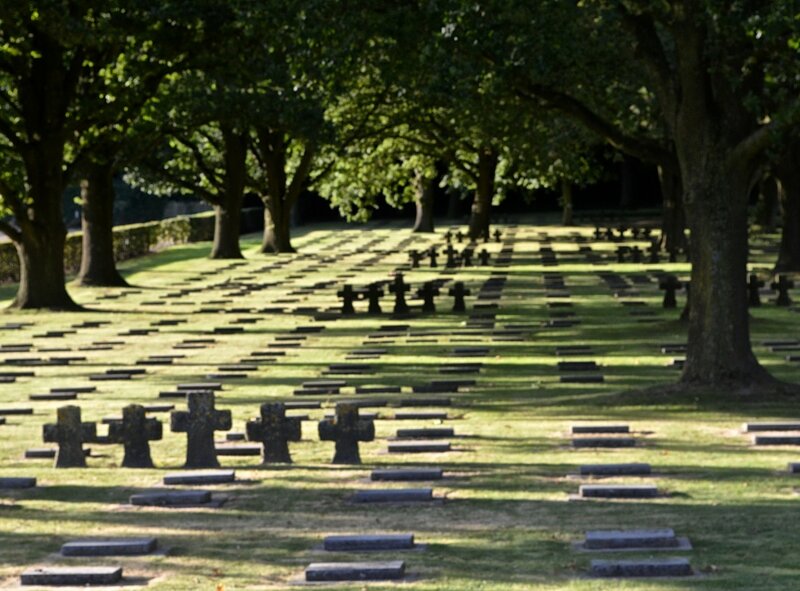 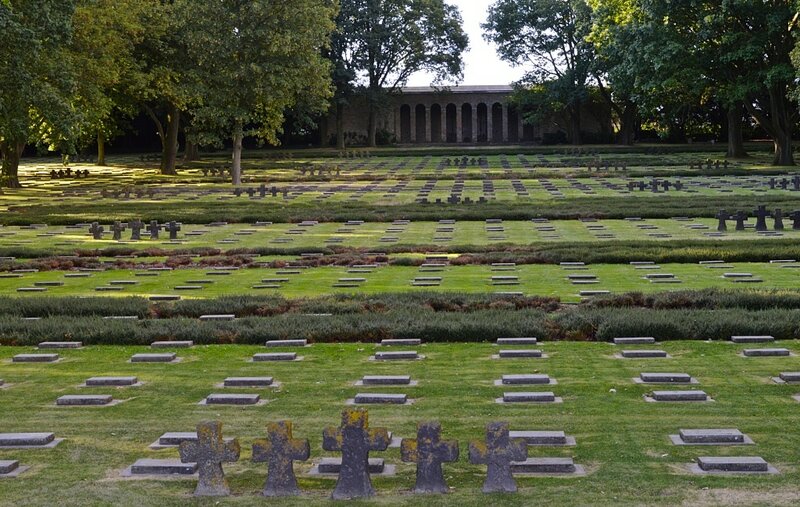 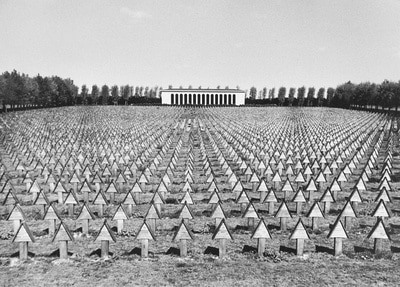 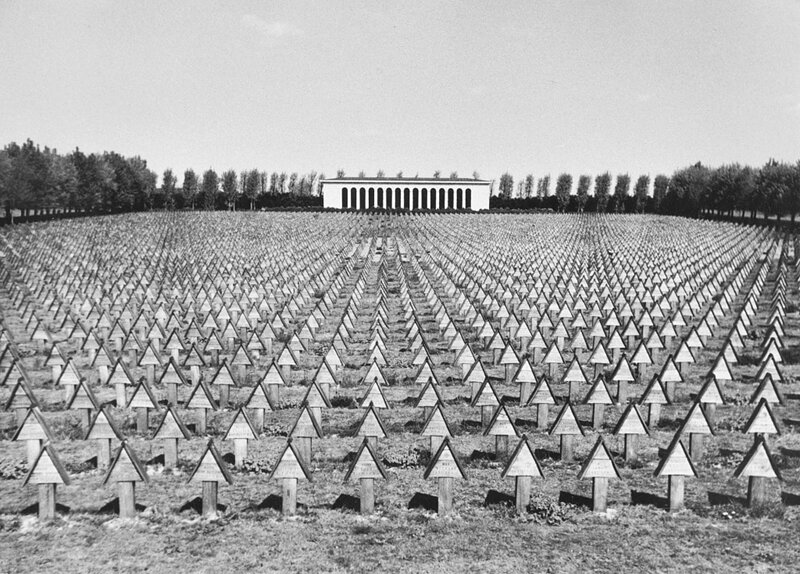 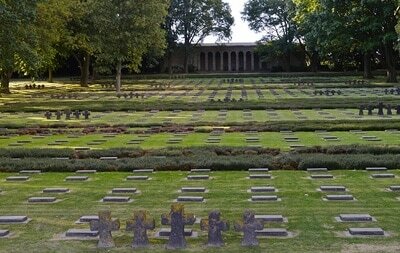 The Hooglede German war cemetery (Deutscher Soldatenfriedhof Hooglede in German) is a military cemetery in the Belgian town of Hooglede, six kilometer northwest of Roeselare. It is located at the east side of Hooglede. 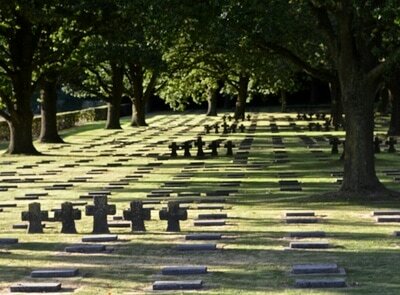 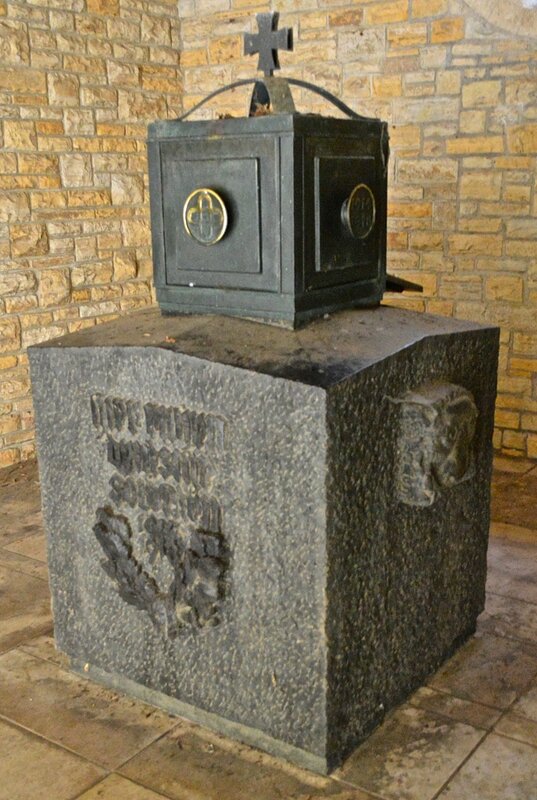 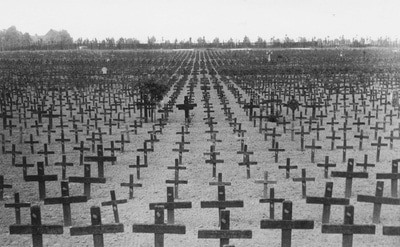 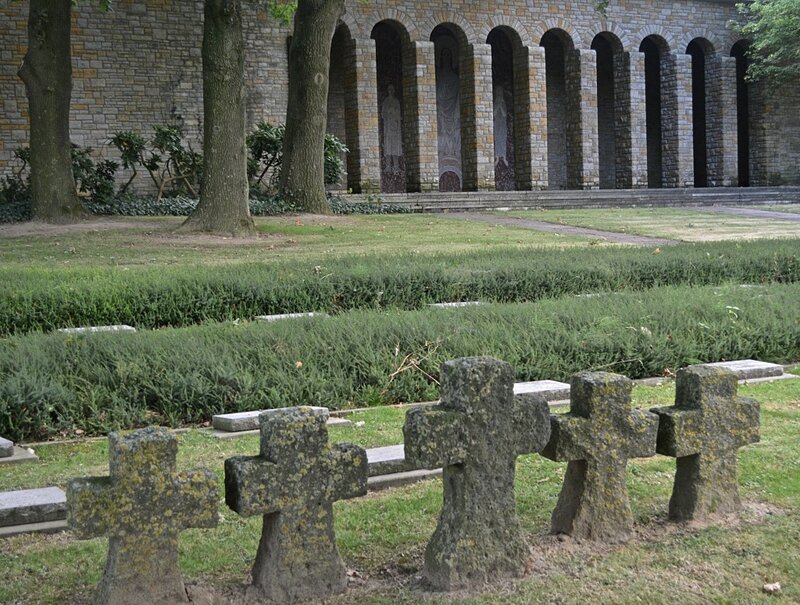 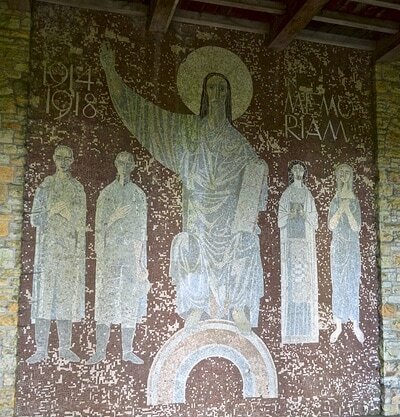 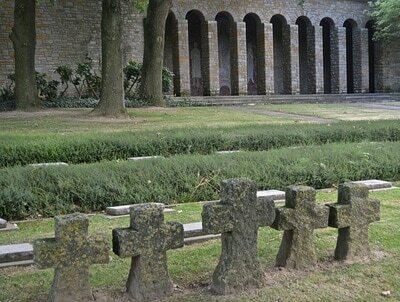 It contains 8,241 buried German soldiers from World War I. Pictures in colour © Nicholas Philpot.